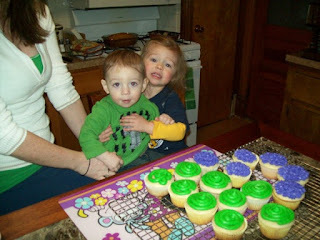 Lola Pearl Bake Shoppe: Celebrity Post: Mardi Gras Cupcakes! To celebrate Fat Tuesday, here's a picture sent in by loyal LP fans, Jonas and Madalyn! Want to be featured on LP?